The good: Tampa Bay Lightning legend and 1998 first overall pick Vincent Lecavalier, lauded by Darryl Sutter as a “hall of fame player” designation several times, solidified the third line center position after a year and a half of inefficient production from that slot. The type of player that immediately commands respect as he walks into a dressing room, Lecavalier emerged from an ugly situation with the Flyers to serve an important need for the club and was a valuable fixture on the power play, where six of his 10 goals were scored. One of the most highly regarded players of his era, it’s an interesting and welcome footnote that his accomplished career ended with a productive spell in Los Angeles, and not immediately following his idled deployment in Philadelphia. 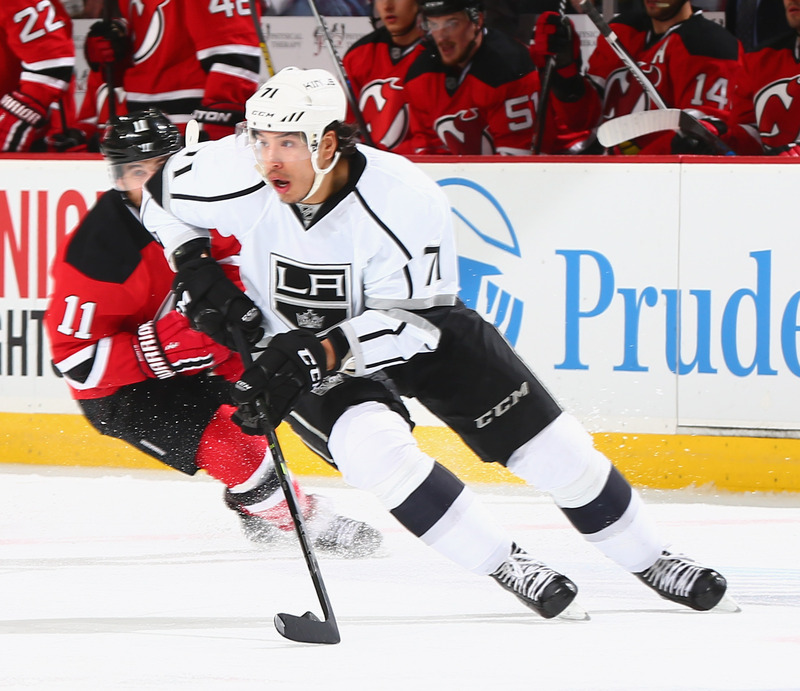 He was the Kings’ Masterton Trophy nominee and helped raise the team’s faceoff rate after his acquisition. The bad: While Lecavalier was an impressive scorer on the power play, his Points/60 during five-on-five play was below the rates of Dustin Brown, Andy Andreoff and Michael Mersch. Though he was slightly more inclined to begin shifts in the defensive zone over any other regular forward, his 48.8% Corsi-for depicts that the play was tilted heavily towards the Kings’ end while he was on the ice. Going forward: After repeatedly confirming that he would retire at the end of the season, Lecavalier officially announced his retirement in June and could be heading back to the Tampa area to help grow the sport in the city where he spent 1,037 games. In the grand scheme of things, no one’s going to recall for one second what his possession rates were in his final season. Good on you, Vinny, and congratulations on a decorated career. How would you grade Lecavalier? The good: For the second straight season, Jamie McBain was a useful seventh defenseman capable of stepping into the lineup for stretches when needed and playing to his strengths as an up-tempo puck distributor who could serve as an additional power play weapon. Playing irregularly is challenging for any player, but McBain understood his role well. 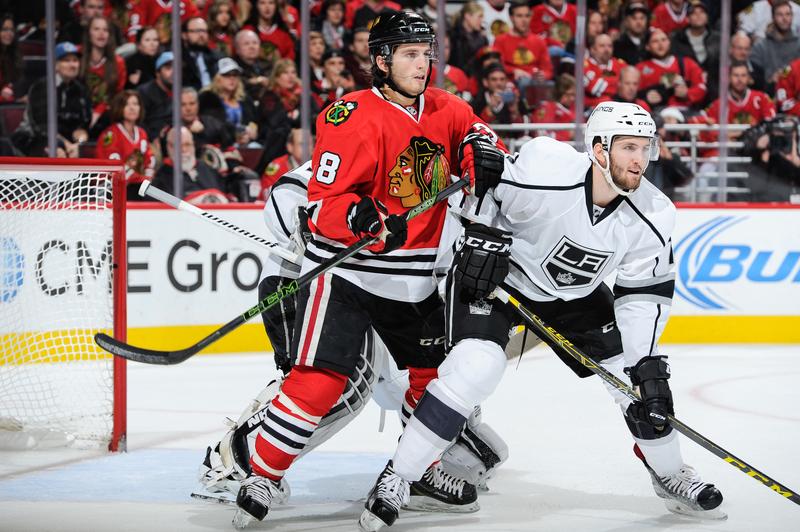 “I think he’s played as well as he can, and I give him credit for it,” Darryl Sutter said early in the season. “He knows he’s a bubble guy, and he’s played as well as he can, and that’s what you want. 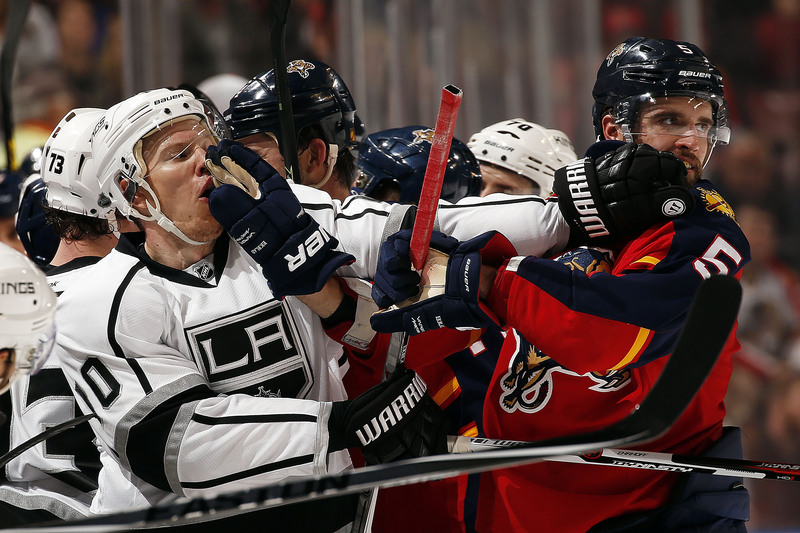 He’s giving us some power play and some puck movement, and he’s done a good job.” Curiously, the Kings were 30-10-4 in games McBain played – the second straight season they posted a very good record with him in the lineup – and 18-18-2 in games he didn’t. That’s not meant as any knock on his role or ability, but rather that it would be hard to conceive of a player having such a personal impact on a team’s record when he averaged just 12-plus minutes a night in a 6/7 role and often entered the lineup when there were injuries on the back end. The bad: The same thing that can be said of many of his teammates can also be said of McBain in his first Stanley Cup Playoff action: he didn’t make an impact. He’s not as heavy a lifter as many of his teammates, but he went scoreless in four games and averaged just under 11 minutes of play after entering the lineup when Alec Martinez was injured. He also started the highest percentage of offensive zone starts and lowest percentage of defensive zone starts on the team, so there are qualifiers for his otherwise healthy possession rates. Going forward: McBain signed a one-year, two-way contract with Arizona, with whom he attended camp on a PTO in 2014. 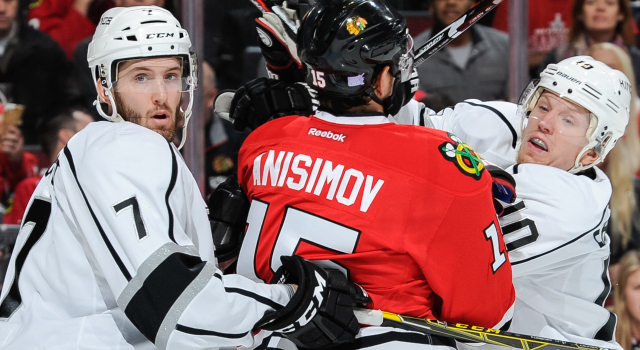 In two seasons, the Kings were 45-17-8 in regular season games that he played. Enjoy your ample Simpsons references, Coyotes and Roadrunners fans. The good: Rebuffing overtures from Colorado and Chicago, Christian Ehrhoff signed with Los Angeles late last summer and provided a well-tenured option capable of absorbing mid-teen minutes on the blue line. 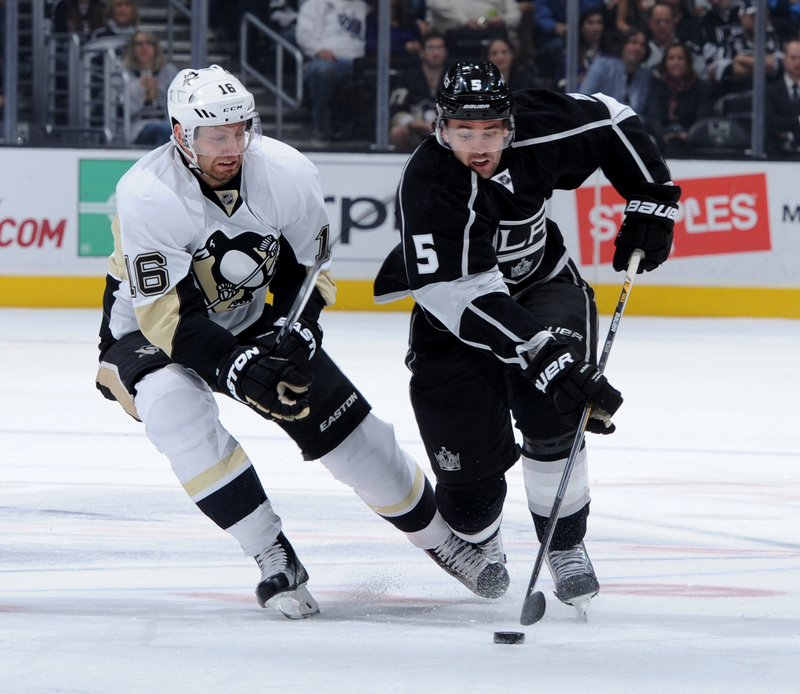 A power play option, seven of Ehrhoff’s eight assists came with the man advantage. Going forward: Hopefully this isn’t the end of Ehrhoff’s NHL career; like several others on this list, you’re not going to find those who’ve spent time around him who have negative things to say about his character or approachability. As of August 12, the veteran of 789 NHL games remains a free agent. How would you grade Ehrhoff? The bad: Scuderi was the 37-year-old version of Rob Scuderi, and he continued to get pinned back in his defensive end. He posted a team-low 47.3% CF% amongst qualifying players despite zone starts that weren’t overwhelmingly skewed to the defensive end and was on the ice for a disproportionate number of scoring chances against than his deployment would suggest. He’s not winning any fastest skater awards, and other teams can back off of his shot – though he does keep his shots low and on target for the purposes of deflections and rebounds. Though it’s related to the team-wide doldrums that began in late March, the Kings’ points percentage after acquiring Scuderi (.591) was worse than it was before his arrival (.633), while the team fell from 12th to 15th in the league on the penalty kill despite a well hammered-out reputation as someone capable of providing tough minutes while shorthanded. Based on understanding at the time, Scuderi was seen as a player capable of holding down a third-pairing role with restrained minutes, but he ultimately averaged 18:07 per game and played more 5×5 minutes with Drew Doughty than with any other skater on the Penguins, Blackhawks or Kings. Going forward: Scuderi turns 38 in December and will face competition to retain his role in training camp from left-handed shooters in Derek Forbort and Kevin Gravel, and right-handed guys in Zach Trotman, Matt Greene and Tom Gilbert. There are three, perhaps four openings for those six players, with all but Gravel – who carries some intriguing upside – having to clear waivers before any theoretical AHL assignment. There is a ton of competition here. Scuderi cleared waivers once last year, but that was also while he commanded a $2.25-million contract that had another year tacked on, so there’s no real comparison. There appear to be two opposing forces at play: the first-right-of-refusal for players like Scuderi and Greene (and Gilbert, who looks an awful lot like a sixth or seventh defenseman on this team), who Darryl Sutter has won with and carry heavier intangible weight around the group, and the inclination to play younger players who, perhaps like Forbort, Gravel and Trotman, carry some interesting and maybe several higher degrees of upside. Ultimately, there will be injuries and transactions, and the players who perform the best in training camp will earn those final three or four spots. 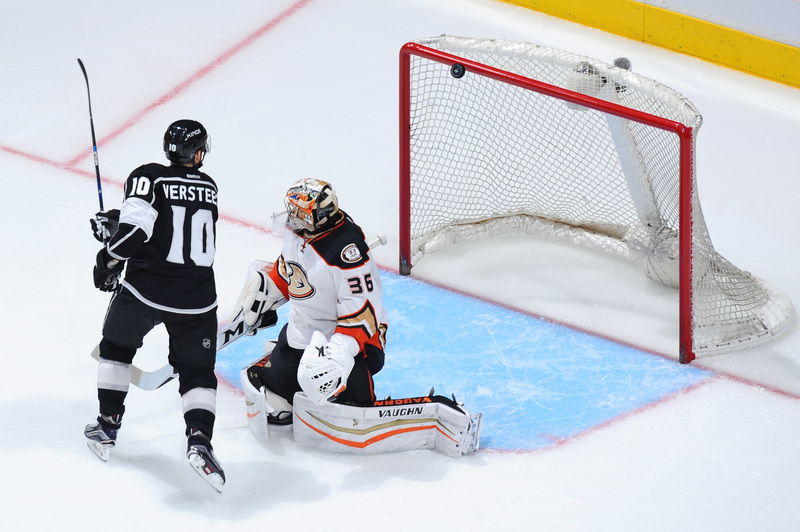 The good: Acquired to enhance scoring on the depth lines and to provide additional playoff experience, Versteeg joined the Kings just before the trading deadline and filled his role as expected. He pushed play towards the attacking end and probably justified some additional usage behind the nearly 11 minutes he was allotted, if some of the possession stats and production rates tell us anything. Despite his size, Versteeg scored his goals by going to hard areas of the ice where goals are scored. The bad: Versteeg blocked a Dennis Seidenberg shot with his foot and missed two weeks late in the season right when it looked like he was getting comfortable with his new team. 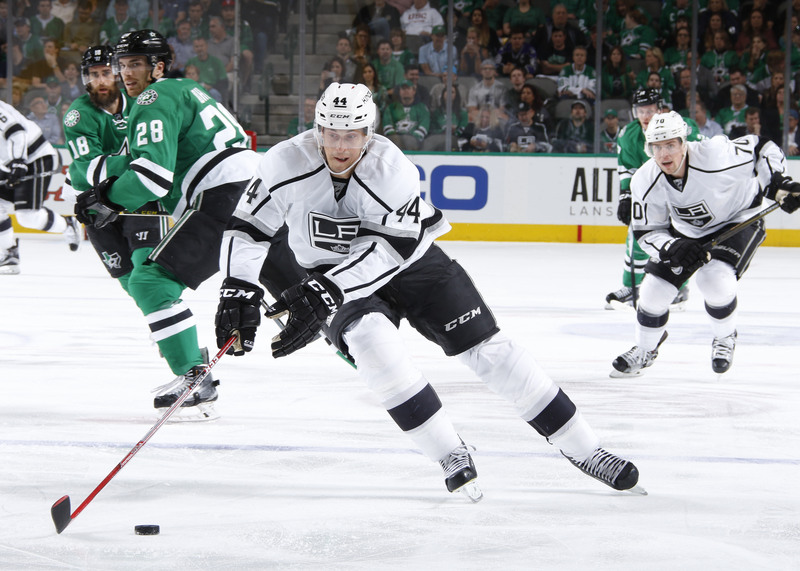 He rebounded with a pair of late regular season goals and scored the tying goal during the dizzying Game 5 comeback that went for naught but ultimately saw his Los Angeles tenure end after 14 regular season and five playoff games. He averaged less than 10 minutes of nightly ice time in the playoffs (but still recorded two points). He got a lick or two in there early, but yeah, Rickard Rakell. Going forward: Versteeg, who cost the Kings Valentin Zykov, would’ve been a decent fit with a number of NHL teams but opted to sign with SC Bern in Switzerland’s NLA. 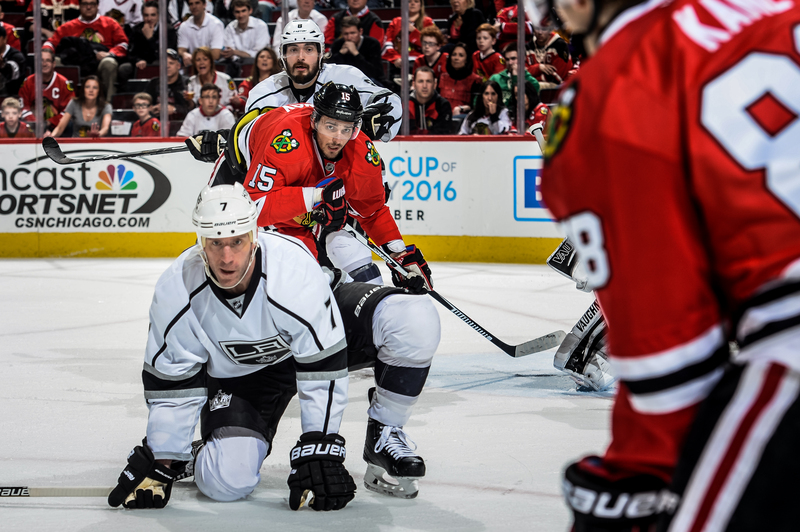 How would you grade Versteeg? The good: Davis Payne referred to the intended use of Jordan Nolan and associates as a “battering ram effect,” aka, a group of players who can forecheck, soften up the opposition and make them play on the wrong side of the puck while allowing the Kings’ top lines to recover. By and large, Nolan has done that in his career, and has emerged as one of the heavier hitters on one of the league’s heaviest teams. Going forward: Nolan has advanced in his rehabilitation from surgery to correct a herniated disc, based on a Darryl Sutter update and later correspondence and is expected to be ready to go at training camp, where he’ll compete for a depth role. He has two years remaining on his contract, which carries a $950K AAV. The good: Michael Mersch cracked the Kings roster in the late fall and scored his first NHL goal at Rexall Place by doing what he does best: setting up shop in front of the opponent’s net and weathering the blunt force trauma associated with doing so. He registered four shots on goal that night – one of three games in which he took at least three shots – and followed it up with his first career assist one night later in Calgary. “I’ve scored a couple shooting goals, but not a lot of shooting goals,” he said shortly before his December debut. He scored 24 times as part of a 43-point, 52-game Ontario performance and probably doesn’t have a ton left to show at the AHL level, where he has scored 63 times in 170 total regular season and playoff games. Ontario Head Coach Mike Stothers has spoken very highly of Mersch’s coachability and character over the last two seasons, and it’s clear he’s built an excellent rapport with the club’s development staff. This is how you get more playing time. The bad: The pace of play was a bit high for Mersch, who has made strides in his skating ability but still hasn’t appeared to completely shake off the label that it’s an aspect of his that still needs work. Opponents registered 96 shots on goal to Los Angeles’ 61 while Mersch was on the ice in five-on-five situations, though the Kings did score four of the seven goals exchanged. Going forward: Mersch will look to continue to develop a mature game as he makes his case for a roster spot amidst some competition from more established players up front. He’s eligible to return to AHL-Ontario without having to clear waivers, but the team would like to see him seize a role with a productive preseason. He’s been a reliable goal scorer from tight quarters throughout his career, and given his accomplishments with Manchester and Ontario, it would appear to be an appropriate time for the to-be 24-year-old to make a strong case that he should play beyond 17 games. How would you grade Mersch? The good: Forbort deserves a lot of credit for significantly improving his skating, and while he’s not going to be a high-tempo burner, he was still able to move his feet under pressure and use his skating as an asset in his 14 games. He wasn’t frequently facing the Jamie Benns of the world, but he did boast strong possession rates in his limited usage. Forbort became the final player from the 2010 draft class to make his NHL debut when he dressed for the fourth game of the season, a win over Minnesota that followed three straight losses. The bad: Forbort’s confidence grew in 2015-16, but there is still the call for him to play, as Darryl Sutter said after his debut, an “assertive, aggressive game.” There’s plenty of room for definition in his game, because while he is envisioned as a hard, if not ultra-physical, presence down low, he’s still looking to consistently demonstrate those traits at the NHL level. 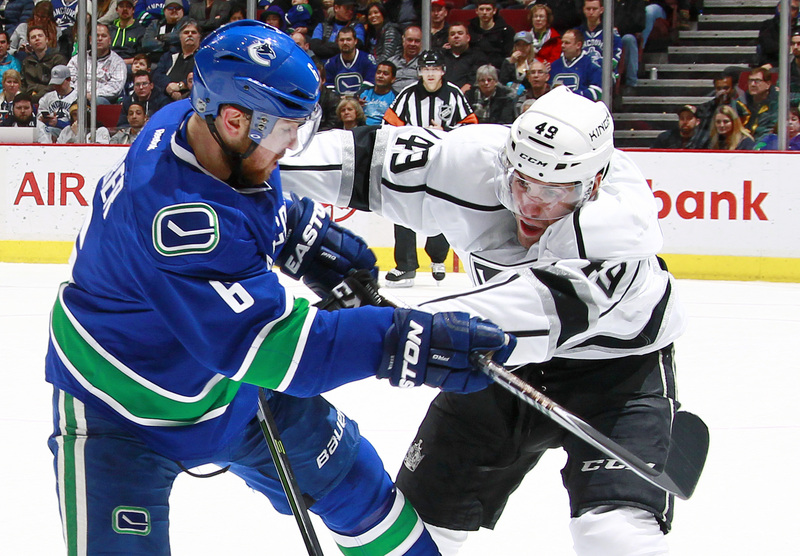 Going forward: Forbort would have to clear waivers to be assigned to Ontario, and that’s a pretty murky proposition. As noted above, there is significant competition for the final three or four defensive spots, and as a left-handed shooter, Forbort’s primary competition will come from Kevin Gravel and Rob Scuderi. Gravel probably showed a better grasp of playing at an NHL pace in his call-ups, though over a smaller set of games. The battle on defense – how players such as Gravel, Forbort and Trotman look, and how Greene vies to return from a lengthy absence – is one of the most compelling stories of the preseason. With Drew Doughty and Jake Muzzin at the World Cup, expect to see players like Forbort and Gravel log heavy action as all players are afforded the fairest shot of competing for a role on the team. Sutter has stated his aversion towards defensemen who don’t quite reach “teen minutes.” If Forbort makes the team, he’s going to have to play – in all situations, against good players – because someone who plays in the 11-minute range on the blue line is going to put too much strain on the players above. How would you grade Forbort? The good: Jhonas Enroth improved across the board in winning percentage, goals-against average and save percentage, and put together a fine season for a backup who was used sparingly, boasting an impressive .937 save percentage in five-on-five play. He wasn’t treated with kid gloves, having earned a pair of wins in San Jose and a shutout at St. Louis. Going forward: The genial Enroth had been linked to Toronto last month but hadn’t signed with the Leafs as of this report. He remains an unrestricted free agent. 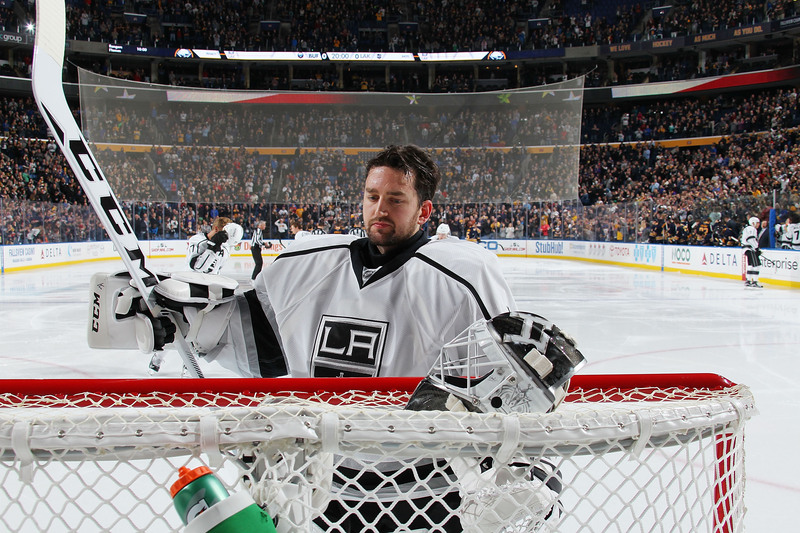 How would you grade Enroth?